‘Tate machi’ with Keyaki guesthouse was the gorgeous town with a high-class Japanese-style restaurant before and the geisha girl strode the neighborhood. Although it leaves the image in the present age, ‘Tate machi’ is the central town of sightseeing and the meal . Though it is in the central part of Sendai, it is the nostalgic place and the place cooling down. Loved the atmosphere in this hostel! Everyone is very friendly and it has wonderful spaces to hang out. Definately give it a try. Super delayed review. I stayed at Keyaki twice last year. First time to explore Sendai, second time was really to visit the great staff/friends at Keyaki. Also very English friendly. Walking distance to the main attractions. Yamadera was close enough by train. Great hub to day trip from if you have a JR pass. 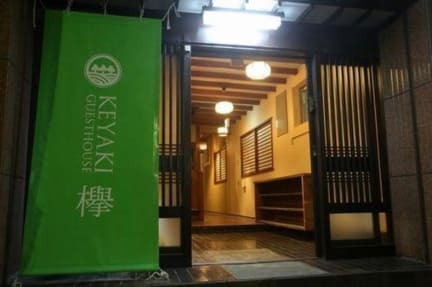 If you're looking for some nice simple guesthouse with awesome hosts and contact with locals,then Keyaki is for you! The place is an old house but super clean. we had some super nice chat with our hosts and they gave us some good tips for what to visit and to eat (the Harako Meshi place was just fantastic!). It may seems a bit far away from the station but taking a bus or walking there is super easy (10 min by bus and 20 min walking). Would go back without thinking next time am in Sendai! The guesthouse is beautiful and the staff amazing. I had a great time! 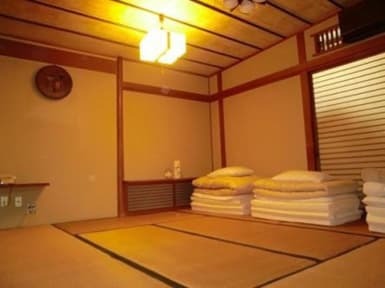 The best hostel I stayed in north of Osaka. Staff made this hostel so fun to stay at, a very home like vibe where we went out for dinner togeather with some of the staff etc. Close to many nice sightseeing spots and restaurants. 2 min from subway, clean and calm at night. Im very happy to have stayed here. Super cool hostel, very nice and welcoming staff, would definitely stay again if in Sendai! Super nice and helpful staff, and a real communal atmosphere. The staff were really friendly and fun to hang out with. Location was close to a lot of restaurants and other activities. The only thing that I didn’t like was the walls were a bit thin so you can hear people downstairs in the morning. So if you like to sleep in wear ear plugs. Other than that everything else was great. Didn't feel the cleanest. I was lucky no one else stayed whole I was there, otherwise it would've felt very cramped. At 11PM the Guesthouse manager barged into my room aggressively and said lights out - wasn't aware the lights had to be out in my room, especially because I was the only one there! Also, it's situated in the centre of the red light district, so at night you're approached by men around each corner trying to get you to visit their establishment, so just keep that in mind.